It turns out that, over time, I’ve written a fair bit about business networking – 62 articles and counting. Here is a link to every single on which I’ve written so far, I hope they’re useful. Business Networking – Is ‘Givers Gain’ Only Half the Story? Business Networking – a second chance to make a first impression? Business Networking – is consistency the key? Business Networking – what’s more important, product or personality? Aim to be the first to give value, every time. If you want referrals, you need to do this. I’ve been meaning to ‘phone you…..
Want even more referrals? You’d better do this too. Business Networking – stop pretending to be interested when you’re not. Business Networking – you only need one hat. Do business networking groups work? 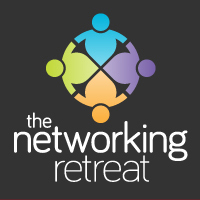 How do I choose the right networking events for me & my business? What systems do you have in place to make your networking work? Does business networking work for estate agents? Will I find bigger businesses at networking events? How actively do you look for referrals for your contacts and clients? If you like my articles then there’s every chance you’ll like my books – Business Networking for Dummies and Instant Networking. Click on them to buy them from Amazon.